1298/1247 CENTER CAP USED, 82-86, DODGE, PLYMOUTH, CHRYSLER, MACHINED, 4 SCREW PEGS, 6-3/8" DIA. 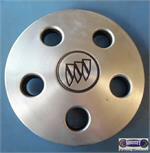 1307, CENTER CAP USED, 85-88, FORD THUNDERBIRD, CAPRI, MUSTANG, MERC, COUGAR. MACHINED FINISH, DOMED CENTER, 4 BOLT HOLES, NO LOGO, 6-5/8" DIA. 1370, CENTER CAP USED, 84-88, PONTIAC, FIERO, MACHINED FINISH, NO LOGO, PLASTIC CLIPS, 2" DIA. FOR A 14", RIM. 1583, CENTER CAP USED,88-89, LINCOLN, CONTINENTAL,MACHINED FINISH, RAISED CHROME LOGO, BLACK BACKGROUND, SNAP ON TYPE, 7" DIA. 1583, CENTER CAP USED, 88-89, LINCOLN, CONTINENTAL,MACHINED FINISH, RAISED CHROME LOGO, BLACK BACKGROUND, SNAP ON TYPE, 7" DIA. 1654, CENTER CAP USED, 89-94, PONTIAC, GRAND AM, MACHINED FINISH, NO LOGO, PLASTIC CLIPS, 2" DIA. 1654, CENTER CAP USED, 89-94, PONTIAC, GRAND AM, MACHINED FINISH, NO LOGO, PLASTIC CLIPS, 2" DIA. PLASTIC CLIPS, FOR A 16", RIM. 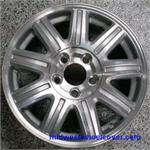 2013b, CENTER CAP USED, 92-95, DODGE, CARAVAN, MACHINED FINISH, 5 POINTED FLAT CAP, NO LOGO, 5 METAL CLIPS, 8-1/4" DIA. 2095, CENTER CAP USED, 98, CHRYSLER, TOWN & COUNTRY, MACHINED FINISH, 5 METAL CLIPS, NO LOGO, 2-1/2" DIA. 2099c, CENTER CAP USED, 97-00, CHRYSLER, SEBRING, CONCAVE SHAPE, MACHINED FINISH, 4 PLASTIC CLIPS, WIRE RING, 2" DIA. 2099c, CENTER CAP USED, 97-00, CHRYSLER, SEBRING, CONCAVE SHAPE, MACHINED FINISH, 4 PLASTIC CLIPS, WIRE RING, 2" DIA. A=SPARKLE SILVER B=CHROME C=MACHINED. 2155, CENTER CAP USED, 01-04, DODGE, CARAVAN, MACHINED FINISHED, ENGRAVED RAMS HEAD, 5 METAL CLIPS, 2" DIA.